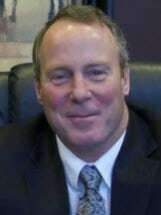 Lawrence G. Whelan founded Whelan Law Office in 1990. For the past 30 years, Lawrence has proven himself as an aggressive and skilled drug defense attorney. He has devoted a great percentage of his life to protecting the rights of individuals charged with drug crimes. Lawrence has vast experience defending clients charged with all types of drug crimes in both state and federal courts. He is a thorough investigator, scrutinizing police reports for information and details that may aid his clients. You can be at ease knowing that Lawrence is there for you.